start with creat the "4 pillars"
My suggestion is as a former "brick and mortar" owner, that small businesses today should benefit from the rapid technological development, and always use a mix of paid and free search results. If you think about it, the biggest majority of your potential visitors and customers, are probably Facebook users. Take advantage of Facebook's recent refurbish, to simplified for small Businesses marketing. You should "boost" your posts, to quickly place your updates, in front of your visitor's eyes. Forget about the old time when paid marketing cost a fortune. You can special tailor your target audience, and to "boost" a Facebook post costs you only some few dollars, best of all you can fix it yourself. I have written a separate article about Social Media. But people are not going to click on your Business site, or visit your "brick and mortar" because of what you do or offers... You must clarify, what is the purpose of your small Business. I Believe you will only be able to increase web traffic and visitors, because your business your products or services, can solve your target audience search intents. The search engines want to continue for the foreseeable future be your traffic source No.1. MidlifersWebBusiness.com Will give you Free Tips and Good Advice. The purpose of my Website is to give free help, tips and guidance, to small online and "brick and mortar" Businesses. It's about how and why to place your small Business on internet. People will visit your business site, because of Why you offers your products or services. And by "why" i don't mean earning money or make a profit, because that is a result, and will always be an results. To getting traffic, you must start where you potential audience start, become easy to be find "at the search". And to achieve that you must implement the "4 pillars". Sounds complicated and expensive. Far from it, as i have said my tips and guidance is aimed for small businesses, and you can today fix it yourself. If you not have good knowledge and experience, which only a minority of all small business owner have, you shall use a real business tool. I have written a separat Article about Website Tool, and the "4 pillars". Build a proper Business Website. You must have an interest in your products or services. Without this, there will be a minimal chance that it will occur passion for your business. Starting a business where the main cause and the momentum is only to make money, will certainly not be successful. I have written an article about how to Find your Niche. 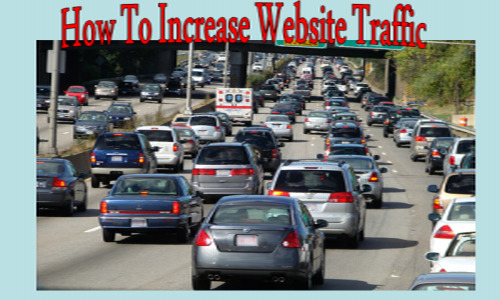 why will you increase traffic. How to increase web traffic? Why will people visit your "brick and mortar"? It's always a result from that you can clarify the purpose of your business. From your unique content, your products or services. It's about your passion for your business, your personality, your "home made" content, that is written with your own voice..
Everything together will create an unique value, which makes that your whole small Business stands out. People will quickly notice that your small business, really can satisfy peoples search intent. On Social media people will automaticly to mention your business name in conversation relevant to your Business purpose. Those products or service that you built your business around, is the things that you really believe in, and that also interests you very much. Because people don't buy what you do and offers, people will buy Why you offer a product or service. (Further down in this article, you will find a Video that explaining what i mean with "Why"). Remember and thinking about this, the next time you visit, or have contact with a business that you know is very popular and successful. I am 100% convinced that the owner loves his business and that the owner and the staff has a big interest, knowledge and experience of the products or services, they offer..
You will be able to feel the vibrations in the air, you really like the store or the web business, and you will definitely be visiting them again. When you can clearly express the purpose with and why your business exist, there is no need for any trickery and manipulation. This is what i mean when i say that people don't buy what you do or offers, People choose and buy Why you offers those products, services ... And as i said earlier, with "why" i don't mean earning money or make a profit, because that is a Results. That's right.. To believe in and have a great interest in these products or services, this will result in a passion for your whole business, so you can say, passion is something that arise as a results. Being passionate is purely a feeling and charisma, and it is difficult to describe in words and figures..
That you really believe in your product or service and your entire business means that you will have fun, yes sometimes you think it's so fun to running your own small business, talking or writing to your visitors and customers that sometimes you even forget about time and space..
Economic success is a result, and means different things to different people, in different countries . For many 100s of millions people, earn a few extra $ 100 a month will mean big life-changing. For some people in other countries, $ 600 per month will mean an total failure and financial disaster.. Anyway, the Internet's tremendous development in recent years would no doubt create, many new fantastic income opportunities for millions of people on this planet. 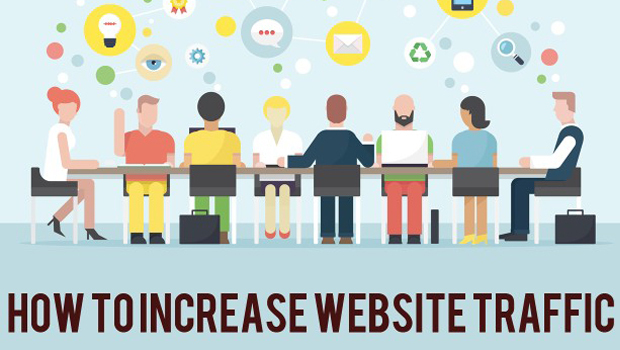 So how will you be able to increase web traffic to your site? As I said, you often competes with virtually millions of websites so of course you have to be diligent and work on it all the time, that this is not a "fairy tail story", about push one button to achieve ower nigth Success. But it is also many big differences, let me just mention one thing right now, to build and run business online is much more Inexpensive.. But more on this further down in this article. First, let's take a closer look at the different types of traffic sources and where it comes from. According to google analytics, there are basically four types of traffic sources, (channels)..
organic search results and ads. the four basic traffic channels. 1. Paid search. Advertising, Pay Per Click (PPC) on your ad or link. It can be: Shopping sites, Facebook ads, Google Adwords, Bing ads, etc. You only get traffic from here if you have paid in advance, small business owners who just started usually have a small budget, and it can cost $ to buy traffic. But even if you have a small budget so this one I would recommend you to try. Look for example at "Facebook ads" you can see for yourself that it doesn't have to cost a lot. Although you've never done it before, it's easy, you can tailor made your campaign for your small local "brick and mortar" business, or for a larger global audience. Even a small "facebook ads" campaign for some few $ dollars, will give results.. Your "Brainstorm IT" Keyword Research Tool would be very helpful. 2. Direct traffic. (Free Traffic). Word-of-mouth. Visitors who come to your site via this method, have either bookmarked your site, or may already be regulars or people who have been recommended by others to visit your Site. 3. Referral Traffic. (Free Traffic). Come from articles or linkages, in other words, your website is found using a referall from other sites, thus not with the direct help of a search Engine. 4. Organic Search. (Free Traffic). Last But Definitely The Most Important Source..
First in Short .. Consumers today make huge amounts of Internet search, with their smartphones or computers. To find all type of information, help, an Business, products or services. People will find your out standing Business site, When They doing their Google search. Simply depending on your: unique, valuable and relevant content, on your mobile friendly Business site. The main traffic source right now and in the future. This traffic generally comes from search engines, Google or Bing and as a result of a specific search term, a question, or keywords. Regardless of what you see and hear from others, the search engines want to continue for the foreseeable future be the traffic source No.1. People natural search patterns on the Internet, simply what ordinary people like you and me are doing with our computers or mobile devices. When we'll find the nearest gas station, a local resturant, book a flight, people's natural internet research Today. To get those clicks, your site must rank highly for those keywords. Here you want to get tremendous help of the CTPM formula (Content, Traffic, Presell, Monetize) your e Business Tools. When it comes to the main issue in this article, How to Increase Web Traffic to your Business site. Well then you must start where your visitors and potential customers begins. Whatever you twist and turn everything. 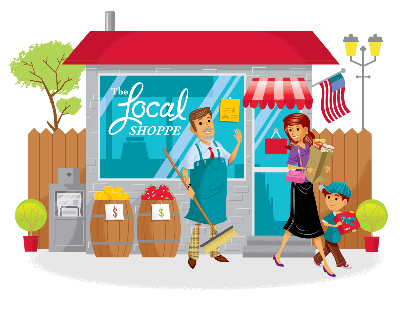 I have written an article, from a little different angle where you can read about how the Consumer find local Businesses thanks to Content Marketing. That article focusing on small local business, the largest amounts of web traffic to your site is about, ordinary people who make their daily Internet Search. So the mission for your small business, is to solve their Search Intent. These 4 channels above, is the Basic Traffic Sources: Paid search, Direct traffic, Referral traffic, Organic search. 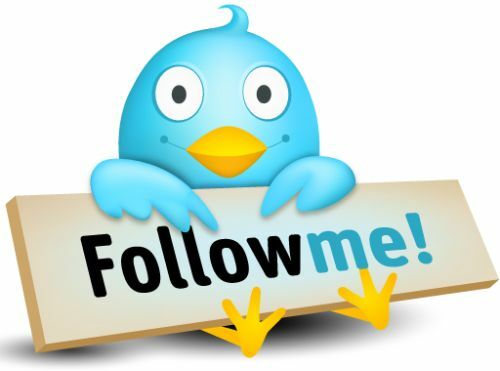 But as you know, Today is Social media certainly involved as a significant source of traffic. Your business site, and the social media, walks hand in hand to build a compelling, brand name for your small business. Customer success stories, user reviews and feedback will go a long way together in building trust for you and your online business. And of course want all this Increase web Traffic. From the Social media in to your own Business Website, there you can convert the traffic, your target audience, into revenue.. And as i have said many times. A Social media site can never replace your own Business site. Read Why? I have written a separate article about Social Media. However, many small Businesses, seems to believe that, at once you have created a business account on social media, it can almost replace a proper business blog or website. That is absolutely not the case, don't misunderstand me, to have a social media account today is very important for your small business. It serves as an important relationship builders, where your company's name will be mentioned in people's everyday and natural conversation, people can quickly and easily make recommendations to your company, your products and services on your social media site .. YOUR BUSINESS SITE MAGNETIC ? How to Increase Web Traffic? Since I myself am a former small "brick and mortar" owner, I know that time is not something you have in abundance. Interest, knowledge and experience to create a real presence on the Internet is also something the vast majority business owner lacks. Under 50% of small businesses don't have a Business website. But why is a real Internet presence a key ingredient for increasing web traffic? Simply because your potential visitors and customers acquired a new behavior patterns. People today use smart mobile devices and their computers to quickly locate a business, products or services, and even for local search. Thanks to the rapid development of technology has in just a few years, new, smart and easy to use business tools developed specifically for small Businesses. With this user friendly website tool, you can by yourself to create a complete business site. Even if you are the "newest Newbie" you will be able to build an online presence that your potential visitors and customers expect to find today in 2017. As a natural results of this, will your small business is also to Increase Web Traffic. Start with laying out the solid Foundation. Now that we have been crystallised the key sources of traffic, then you have to be able to use them on the basis of the conditions in your own business. What type of business do you have today? If you have a small local "brick and mortar" business who need a real internet presence, or simply refurbish your current. Are you going to start a little side gig, a Online or "brick and mortar" business based on one of your interests, hobby, something that you can be passionate about. Or your for long time collected knowledge and experience, from your profession.. If you first, can build a rock solid foundation for your e Business, then your Business site will be found by potential customers, when they make their Internet Research. Why? Well, Simply... Your very unique, valuable and relevant content, can solve their search intent. The traffic will increase, your site's reputation as well, which in turn would affect the search engine rankings. Everything is connected in a logical and natural way, without any trickery or manipulations. Building traffic and running a online business, is like build a "brick and mortar" business. It's simply a long-term project.... As the competition on the internet (ie more supply) increased significantly, it has become more difficult for small e business to win the race and make money in the broader Niches. But don't worry, the total demand for internet has also increased, and will so do the coming years.. Narrow niches, today delivers more web traffic, which means that very slim niches that just a few years ago, could not maintain a small online business, now you can succeed with a narrow niche, with Big Panache. P. Presell: It means that your visitors've become warmed up, by your excellent PREselling content, your service mindset, your articles OVERdelivers, your whole business will be presold, from you and that you have written with your own personal voice. It is only now that your target visitor is ready for the next step. M. Monetize: This is the very fun and easy part, which many want to start with, when to build a business. But if you take a minute and think about it, logically and naturally it's actually the first three steps CTP that you need to start with. When you complete them, and only then are you ready to monetize. M generates income for you and your business. It's through a diversified range of Monetization models (Your customers buying your products or services, paying for a membership subscription, Clicking on your Adsense ads, Clicking on affiliate links, Generating finder's fees for you, etc.). Brainstorm It. Probably the most advanced and easy to manage Keyword Research Tool of its kind on this planet! Take a taste bit, how to getting traffic. At this short video, you will get an overview of What to start with, and Why.. Press play and watch this video now .. These brainstorm tools, gives you a yield of 10-20 times more phrases and keywords than every third-party keyword tool (including Wordtracker's and Google's) combined! Each keyword in the world that contains your "Site Concept keyword" want to be discovered and returned to you with additional valuable data. Ready. How to make your content presell. Think about your potential customers Search Intent. You will save tons of time and get better end results, if you OVERdeliver what they are searching for. But is it so very important now, you thinking! When your main concern right now is to get the answer of the first question, How to Increase Web Traffic to your site. To build and run a small business, Online or a "brick and mortar" is about relationships between people, to have a customer service mentality. That this is your big interest, you're really super passionate about your business. All this will people, very quickly feel and notice. Your target visitors will mention, about your burning passion for your business and for your concern about customers, in their everyday conversation with friends and family, face to face and in Social media.. So It's just different platforms (physical shop or Internet) where you have the content. Whether it's the customers in your small "brick and mortar" business, or if there are people who have used their smartphones done an Internet search, and click on your website link, because they are looking for help, information about products or services that you provide. Continuing it is only a minority of the Small Business owner who will understands this. Positive for you right now, becouse it Gives you big Competitive Advantages. Today in the digital year of 2017, it is "very surprisingly" that only 46% of all small businesses that have a real Business Website. You can read more about that survey, In my Article about your Website Tool. There are lots of free and paid business tools on the market, select one that suits your business best. MidlifersWebBusiness.com Give you Free Tips and Good Advice. Overall. The source for increased traffic to your business site and visitors to your "bricks and mortar" comes from the clarifying, of Why your small business exist. Overfill your site with unique values, let your visitor feel they are very satisfied, and they got more out from this, than just "solving the search intent". Present professional-looking, clean design, easy to navigate and mobile friendly site. No flashing, No sound, If not your website and business is about Site design and special effects. Keep it simply, too many people spend way too much time on the web technical, mechanical and graphic rather than on the purpose of the business and the content itself. A super fancy looking, and super-optimized website without valuable and relevant content, is like entering into a Store with a stunning appearance, but with inadequate and thin range for customers to choose from. What they are looking for, that solve their need. Using lots of time on link strategy, page optimization and finding keywords, much less time is left over for the content that will transform into $ Revenue. Google has always considered the valuable content that is important, and has more recently also started to help with their algorithms to put the content more in the spotlight as a ranking factor. So CTPM will always be the natural and logical winning formula, which in the long term easily can out-compete other methods. Your PREselling "home made" content. With your big interest, enthusiasm, knowledge and experience about your niche and the topics you write with your unique informal voice. You will OVERdeliver that specific information that your target visitors are looking for (their search intent). As i have said, This is important because, the competition will increase on the Internet. That you as a small business owner will find your niche where you can very easily stand out, instead of a general, broader and much more competition exposed niche. But with your own unique particular spin, in which you speak to your visitors that your friends, will create just the unique PREselling content that puts you far ahead of your competitors. This also builds the safe feeling, "he or she, cares for me," between you and your visitors. This has its "in the real world shop" counterpart through "face to face" talk, customer service mentality. Unless your site only caters to a local audience, a good advice write in English, then it is easier to reach a larger audience. Remember that everyone should be able to understand you on the internet, no matter in which country your target audience lives. Use an informal, down to earth, easy to understand language. This is not the place where you have to show off your amazing language skills. Unless your site is precisely about language and language teaching. Avoid filling your site with lots of abbreviations, without explanation, I have seen many sites that caters to a wide audience, which are loaded with acronyms (without explanation.) This creates only irritation, people do not understand, and people click fast forward to the next website. If someone thinks you're using too simple language, or that your site looks too simple, just relax. You can safely assume that the comments come from some of your competitors. Or from a person who has as his mission in life, to find errors and deviations, what so ever. In fact, most people in different countries, feel most comfortable to reading and understand text, aimed for 12 to 15 years old persons. But of course, you have to use common sense, if your site caters to lawyers, doctors, engineers, web programmers or any other special audience, so obviously you may need to use a more formal language, adapted with the special terms. The magical presell, will increase web traffic. As i have said, without first PREsell your visitor, you will have very hard time to motivate your potential customers why they shall use their money, not only today, but also become your regular customer. Your valuable and relevant content must meet their needs and be able to create interest and desire to have. Your written words, your content will create an open-to-buy mindset, and you can safely guide your visitors, to your monetize department. We take a example from the "real world". Imagine the content of a small "brick and mortar" business, Customer-friendly opening hours, which is always have well-stocked shelves, customer-friendly prices, a nice tidy shop, staff with service mindset, who have the interest, knowledge and experience of products and services. Of course, this small business also has a real and complete internet presence with the ability for customers to choose e Commerce .. Do you think that this small business has a problem to getting traffic? No, of course not .. In this example is about PREselling content in the "Real World", but the differences are just to the preceding on different platforms, (store or internet). The large and rapid development of the internet, has resulted in that people today use the Internet as a new search tool, for example, instead of the telephone directory and yellow pages. They use their smart mobile devices to quickly find a petrol station, a restaurant, a local clothing store, etc. Or at their desk-laptop in peace and quiet look for info on how to start online business, or info to buy a new car, or to buy a product with e Commerce, which they found for example, at a website in another country. The list of examples can be long, but that is the reality of the Internet today, and that trend just goes faster in all countries. It is no exaggeration to say that the trend to starting a small business online certainly is timely. Web surfers use as we've talked about the search engines to find answers to their questions and obtain information. This creates great advantages for those who have a site bursting with tailor made content within your carefully chosen niche. This shows in the first place for all visitors, but also for the search engine spiders that you are an expert, you really care about your visitors, customer service mindset, understand what they are looking for. Since you are a small business, you have several great advantages, it is much easier for you to quickly create an "I know you feeling", which is an advantage for both you and your visitors. Your small scale allows you to very quickly make small changes and adaptations, your potential customers feel at home and secure, when they visit your site. Nothing can give skeptical visitors and potential customers confidence in the same way as your unique and carefully produced preselling content. And why does it work so? 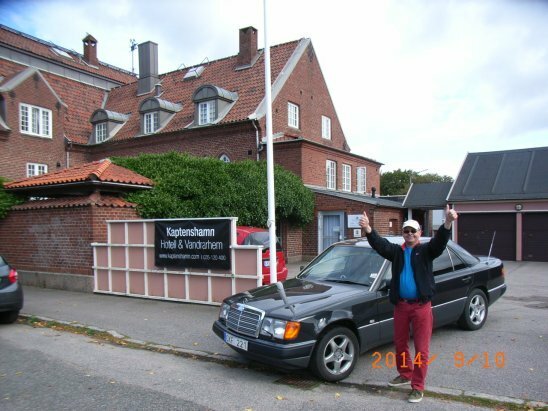 I ran my own small "brick and mortar" business, Over 30 years before I switched to online business. And people will very quickly feel that you have an genuine interested in your small business, in your products or services. You really love to helping your visitors and customers to solving their needs. If you have any personnel, you will inspiring them, so they feels that their work is very fun, and they're also very interested by the products or services that your business is all about. All this is a result, due to you as a business owner inspires them with your own huge enthusiasm for your business. All your visitors and customers will feel for your business, your content is exact what they been looking for, your business is something extraordinary. These people will, of course, to talk with other people about and make recommendations. They will mention your business name, write about your company and your content on Social Media. Those lines above one of the answers on how to increase Web traffic, for those of you who also have a "brick and mortar" business would, of course, increase the number of visitors and customers. Everybody know something of something, and everybody can create a Site. But without Traffic you have No e Business. MidlifersWebBusiness.com Give you Free Tips and Good Advice. You may be concerned about not being able to produce PREsell content? However you do it already, every day in your relationships, even you, who already have a business. We all do it every day, everywhere .. The only thing you need to do is place it on your business site, write as you speak, natural and relaxed that I talked about above in this article. Your personality, combined with your knowledge and experience of your chosen niche. Many people want to make it more complicated than it is, do not do that. Everything is connected by a chain, if there is a weak link in the CTPM chain, it becomes very difficult for you to getting traffic and make success. As I said the content would always be the biggest and heaviest cornerstone to generate traffic from search engines and social media. The answer to the question "How to Increase Web Traffic" is natural and logical, your extraordinarily, valuable and relevant Content, the first letter of the CTPM formula. Without a content that is valuable and relevant, you have nothing at all which can satisfy and help your visitors with their search intent. CTP is the very powerful turbo charged engine of your online business, your content is the extremely explosive fuel that getting traffic to your site, your unik and very enthusiastic self-produced preselling content will ignite the fuel, and transform it on your monetize department to income, straight into your wallet. Remember .. PREsell must always come before Monetize .. All this I today have talked about in this article is not rocket science, anyone can do this. If you step by step using this CTPM formula. Simple, Yes absolutely it is, but not "easy". I will personally visit India in 2017.
to meet small local businesses. There are many people from India, who visiting my Website and my Social Media sites. It is quite natural because India is one of my target audience, a big country with a large population. All today has heard of " Digital India " that is a gigantic project that the Indian government has started to in the first place, give all persons living in India access to high speed internet by 2020.. I Believe India is a country with many major challenges, but above all, a country with a huge potential. India is the country in the world where the number of new Smartphone user increases the most. In the Indian digital revolution, the Internet is expected to create over 100 million new jobs, in the near Future .. When the Indian population "become online" in the next few years, I Believe it will be a gigantic demand for many new small solopreneurs, and the existing "brick and mortar" businesses need to quickly get a real business website, there is no doubt ..
Me and my website will be able to help many individuals, finding their niche, and start a small web business. And many small "brick and mortar" businesses to gain a real Internet Presence .. 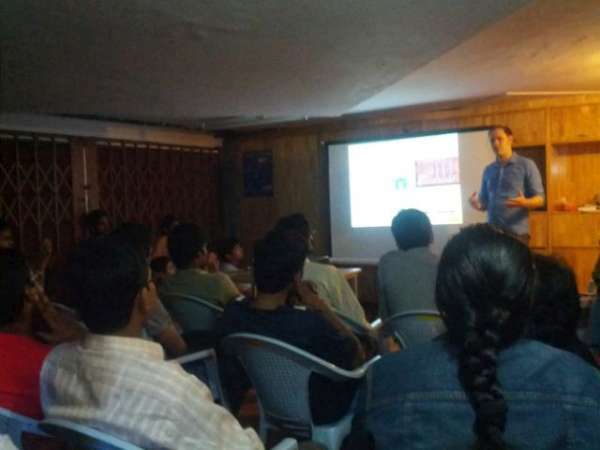 In 2016, I visited India, and talking to people about Why and How you Shall have a real Internet Presence. MidlifersWebBusiness.com Gives Free Tips and Guidance. WHAT'S UP WITH INTERNET IN INDIA? Development of Internet in India has had a violent speed, if you compare to Europe and US. The Indian development has gone from virtually nothing, to high speed internet for all residents in just a few years. This considering that the Internet's development in the West has taken almost 30 years. Internet in India a booming Smartphone Revolution, is very interesting to follow. Hon'ble Minister of the Telecom Mr. Shri Ravi Shankar Prasad, and throughout India Government has launched this gigantic project called Digital India. It involves all the inhabitants of the Indian should have access to high speed internet in 2020. This will create tremendous opportunities not only in India, but also have spin-off effects on web traffic and e Commerce also in many other countries too. I gonna come up with several new articles on just the Internet in India Topic., And personally, I will visit India during 2016 and hold several lectures on the theme of building small online business and internet presence for small local "brick and mortar business." well folks time to Wrap things up! Why and how to increase web traffic? Start with implement those "4 pillars". Overfill your business website with unique value, your "home made" content, written with your own voice. Let the purpose of your small business really shine through. I highly recommend you to watch this Video Tour, so you can form your own opinion. This article is only, like you scratching the surface in this topic, How to increase web Traffic, with the natural and logical CTPM formula. If you follow my tips and advice which can be found here on my website, so there is no doubt that you want to increase web traffic to your business site, but also to your "brick and mortar" business, if you have one..
Before we closing this article, let me put all the Cards on the Table Regarding this Business Tools..
Move to Portagal start Online Business. 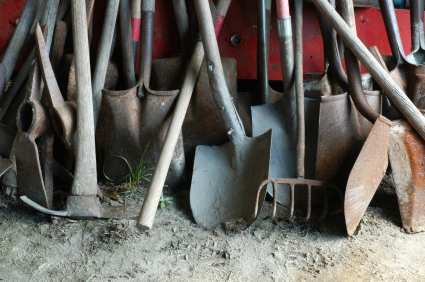 How bricks-and-clicks benefits Biz, and Consumers.